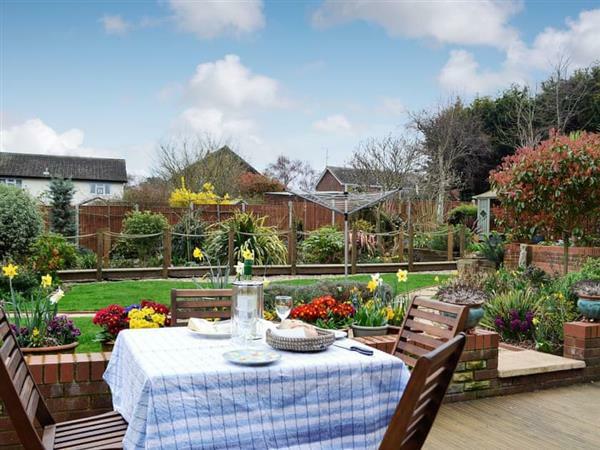 Rowan Lodge in Felixstowe, Suffolk sleeps 4 people. Rowan Lodge in Felixstowe is a semi-detached bungalow near the village of Felixstowe Ferry on the Suffolk Coast. It enjoys an elevated position and is close to the beach and the fishing village. All on one level, it is ideal for less mobile guests. You can sit in the living space and enjoy the views over the owner’s beautifully tended garden or relax on your own private decked veranda. The nearby River Deben is a haven for birdwatchers and those who enjoy wildlife, and you are just a 5-minute walk from the championship golf course and beach, where guests have access to the owner’s beach hut (by arrangement with owner, £15 per day). As you walk the sea wall at Felixstowe, you will see Bawdsey Manor across the river. Built in the 1880s, it became a secret WWII facility and the birthplace of radar. This area is steeped in history dating back to 1338, where fleet ships were assembled here on command of Edward III to sail to France and claim the crown. There is a beach only 220 yards from Rowan Lodge in Felixstowe. With the shop 1 mile, and the pub & restaurant are ¾ mile from Rowan Lodge. 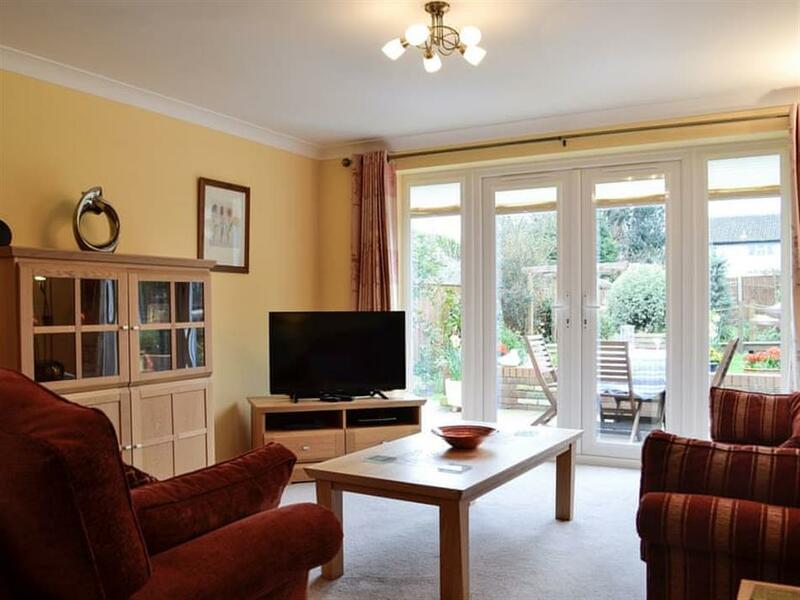 Living/dining room: With 40 Freeview Smart TV, Blu-ray player, DVD player and patio doors leading to veranda. Kitchen: Galley style with electric oven, induction hob, microwave, fridge/freezer, dishwasher and washing machine. Gas central heating, electricity, bed linen, towels and Wi-Fi included. Welcome pack. Enclosed decked veranda with garden furniture. Beach hut by arrangement with owner (at an additional daily cost). Private parking for 1 car. No smoking. Please note: There is an unfenced pond in the grounds, 7 yards away. Holidays at Rowan Lodge run from Friday to Friday. Pets allowed at Rowan Lodge. For a better idea of where Rowan Lodge is, you can see Rowan Lodge on the map below. Rowan Lodge is in Suffolk; should you be on the lookout for a special offer, you can find all the special offers in Suffolk. It's always worth checking to see what is on offer at the moment. Do you want to holiday near Rowan Lodge (UK11149), you can see other cottages within 25 miles of Rowan Lodge; have a look to find your perfect holiday location.